‘To reconnect the people of the Tees with their river through telling the engaging story of the River Tees as a natural feature that has moulded the physical and cultural development of the landscape and communities through which it runs’. The information below is a very brief introduction to the area and more information can be found in this report. As the project develops more information will be provided about each project. The River Tees Rediscovered Landscape contains archaeological sites of all periods, many of which are clearly visible. The earliest of these are Bronze Age Round Barrows at Cliffe near Piercebridge which date from about 1800 BC. These overlook the site of the Roman fort, bridges and settlement at Piercebridge. As part of the project geophysical survey and excavation took place to the west of the fort in 2017. 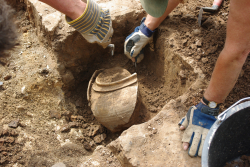 Other Roman sites in the area include a marching camp near Aislaby and as part of the project a team of volunteers supported by Tees Archaeology carried out trial excavations in August and September 2015. 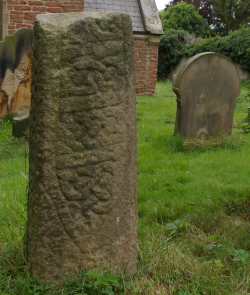 The Anglo-Saxons are not easy to find, however Viking period (10th and 11th century AD) sculpture can be seen in many of the churches and in the churchyard at Low Dinsdale. 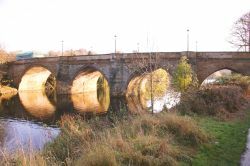 Subsequent to the Norman Conquest medieval bridges were constructed at Croft, Yarm and Piercebridge and the medieval villages and churches of the area were built. 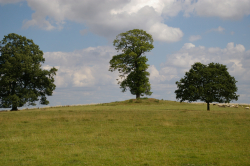 Projects are looking at the medieval villages at Egglescliffe, Dalton-on-Tees and Low Worsall. Medieval industry is represented by the huge mounds that remain from making salt at Seaton Carew, Greatham Creek and Coatham Marsh. The River Tees acted as a military frontier during the English Civil War. Royalist supplies were landed in Newcastle and sent south into Yorkshire in great convoys with military escorts. Attempts were made to stop these convoys at the crossing points of the Tees and fighting happened at Yarm and Piercebridge and further inland at Guisborough. 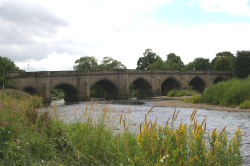 Yarm Bridge was the site of a skirmish on February 1st 1643. 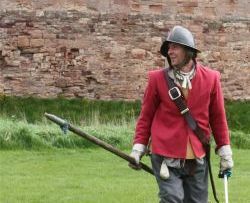 A guide to English Civil War sites in the area will be produced as part of the project. The late 17th and early 18th century was characterised by wholesale replacement of buildings in brick although stone remained the material of choice in the western part of the area. This rebuilding accompanied an agricultural revolution which enclosed the medieval open fields leading to the patchwork of small fields which used to be typical of the landscape. As part of the project volunteers have recorded the buildings of Egglescliffe. 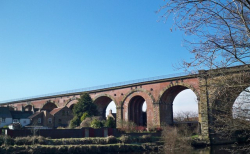 The demand for coal and the arrival of the railways had a major impact on the area and this is clearly visible in the great viaduct cutting through Yarm. Remains of the Iron and Steel industry which led to the creation of Middlesbrough are still visible at places like the coke ovens at South Bank near Middlesbrough. 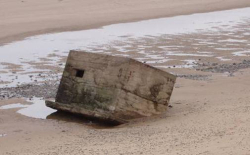 The Second World War also left its mark on the area with pillboxes guarding our airfields and against invasion. 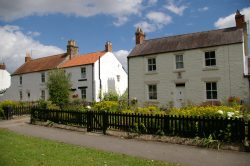 Tees Archaeology was involved in the development of the whole project and is providing the Community Archaeology component of it. We have carried out projects in Egglescliffe, Low Worsall, Dalton-on-Tees, Piercebridge and Eryholme as well as organising a number of workshops and events. If your group or you as individual would like to get involved please get in touch with us and we will do our best to help.